With so much writing in social media timelines these days, I thought it would be nice to spread some Christmas cheer and give a shoutout to the people who's articles/posts I think you should read. 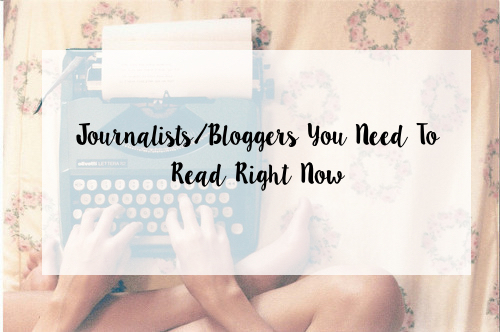 There will be some newbie bloggers and some professional journalists (people who write for magazines or websites for a living) so there's a mixture of both for your reading pleasure. I'm starting with lovely blogger Jemma, who runs dorkface.co.uk and also created the female blogger network and Twitter hashtag #girlgang, with which she has released some merchandise, that you can see here. Her posts and photos look amazing, making me so envious. To add to her amazing talents, she also offers to make personalised headers for other blogs and advertising space at great prices. I mentioned Lady Writes in my Secret Santa post and I definitely recommend everyone to take a look at her blog Lady and The Fiend - it's AMAZING. It's so beautifully designed and she writes great posts about being a single mum, her favourite items and love for stationary, topics everyone should read about on her site at some point. 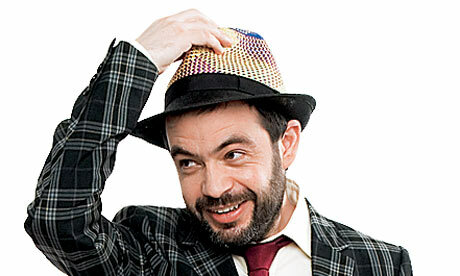 Petridis is the chief Rock critic at The Guardian and that's for good reason - his reviews and interviews are objective and real, as well as being hilarious. Some of the words he's written have actually made me cry of laughter, as the way he's written them is so honest and frank that I feel as if I'm hanging out with the artist too. Some of my notable favourites include the time he met Prince and his review of Charli XCX's album Sucker, which I always go back to if I want to read a review and have a laugh. He's what I strive to be as a music writer - and I'm being totally serious. Bekaah of ThatSoBekaah is both a YouTuber and blogger, with her talents being rewarded as she has been shortlisted for Best Beauty Blog and Best Vlogger in the past, making her a very sought after and talented individual. Her blog contains so many great posts (many of them lists) and she's taking part in Blogmas like me, so I might have to steal some ideas for future posts of this month from her! Bethan's Blog is truly unique, as Bethan writes in both English and Spanish, which is pretty amazing if you ask me. She blogs about any and everything, from hair to books to her struggles with anxiety - something that people with the condition can read about and relate to. There's also a Christmas theme on her blog, with flashing lights and a Christmas tree, what more could you want? I saw Mike in part of a panel at Solent's Word Up! last year (the same one as Alexis in fact) and decided to check out his work. 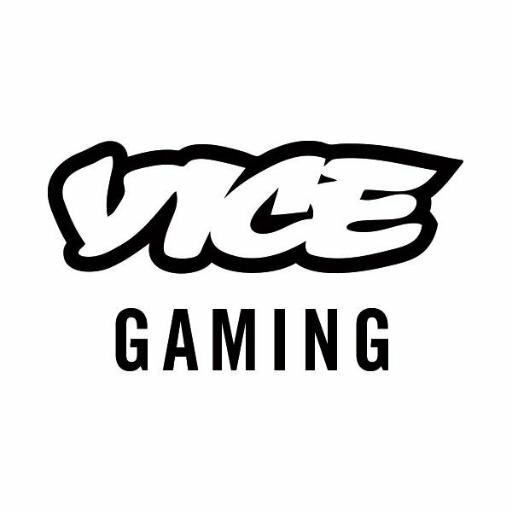 He's Video Games Editor at VICE and I've always wanted to get into gaming, so hearing people's opinions about games is very informative, as if I ever decide to take it up, I know who's opinion I can trust and what games to buy. Little did I know that he would become my university tutor, so if you're reading this Mike: I'm doing my work, trust. I've only started reading Shona's blog for a brief time, but loved every second of it. She blogs about fashion, food and just about everything in between. From what's in her Graze box to a George @ Asda campaign she was involved in recently, she's definitely one to subscribe to. Shona also includes the most amazing photos in her post and has a good knack for taking great shots that work well in her posts. So those are my recommendations of who to read if you need some inspiration/recommendations as to whether you should buy a product or just want to read something that is well-written and in some cases makes you laugh. Have you got anyone that I may not know about? Let me know :) Don't forget to follow me on Bloglovin', 'Like' my page on Facebook and follow me on Twitter to keep with my most recent posts.